A critter is referred to a small furry living creature. It can be any living animal from a monkey to a mosquito. You can find them in zoos and everywhere out in the open. It is exciting and to some extent, and interesting to watch wildlife from far. But when it comes to your home you would like to keep your distance. However, when they invade your space, they become a nuisance. Our planet is a beautiful place with a balanced ecosystem and harmony among living beings. Humans are the most superior of them all. We are capable of building our homes to protect our families. Other animals too build shelters like us. While some take refuge in tree holes, burrows, caves etc, others build their homes to take care of their young ones. That’s the beauty of nature. They too have a right to exist on this planet. But when they choose to build their homes in our attics, basements, kitchen, roofs or the yard, that would be another ball game. Coexisting harmoniously in a balanced ecosystem does not mean you let wildlife into your homes. These little critters that take shelter in your home carry food and mess around. Their urine and feces stink up the place and spread germs. Little animals like rats and raccoons can gnaw through your live wires leaving them open, causing a potential fire hazard. They turn your yards inside out and some can also attack your pets. Do you need to get rid of small critter? Absolutely! Humans and wildlife cannot coexist. The diseases they carry into our homes and the damages to our properties are proof enough. They make unwanted disturbing noises. Critter infested homes have bad smells with animal urine and feces. They attack your kitchen and get into your food, contaminating them. They don’t even leave your trash alone. They invade your trash messing around and spreading germs and inviting another critter to spread it around. 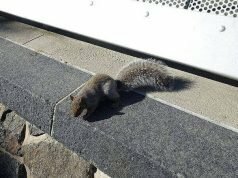 How do critters damage your property? Critters in your home cause significant damage to your property. It is best to get rid of them as soon as possible. Delaying the process could cost you heavy bills in property damage repair. If you suspect small critters in your home, do a thorough inspection of the property to make a list of their entry points. Seal them and take immediate action. Given below are the damages you could incur if you have the following critters. Termites – Eat up a major part of the wood behind your dry walls in no time. 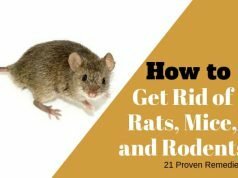 Rodents like rats and mice – Cause structural damage to your Damage drapes, fabrics, and upholstery chew wire insulation causing a potential fire hazard, damage car seats, and wires inside the car. 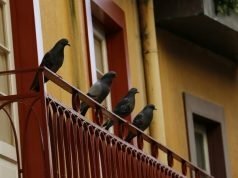 Birds – Bird droppings are acidic and can eat away metallic paints on your car, tar-based roofing material, damage roof, clog the gutters and block drainage, damage to machinery like air conditioners, fire hazard because nesting material is flammable, blocked ventilation in the chimney can cause carbon monoxide poisoning. Earwig – Danger to the garden and seedlings. Silverfish – Book bindings, paper, photos, sugar, and sugary substances, hair, carpet, tapestry, silk, and linen. Raccoons – Roundworms and leptospirosis which can be transmitted to humans. Mosquitoes – Carry dangerous virus-like: malaria, dengue, chikungunya, Zika and West Nile virus. Lizards – occasionally bite but their bite is not venomous, it’s terrible but sometimes lizards slip from slippery ceilings and could fall into food gravies and drown. The gravy is lethal. Why do we get critter? Easy access to food, water, and shelter makes it easy for the unwanted critter to enter homes. Your home is your prices possession. It is your pride and joy. You don’t want it infested with pests and rodents, spreading diseases to you or your family members. Little insects like cockroaches and stubborn bed bugs need a pest control service. The cost of critter control treatments starts at $300. There are many companies offering their services for small animal removal in the market. These companies have certified specialists who are trained in understanding wildlife habitats and mannerisms. They understand the logic and science behind critters encroaching your homes. They are equipped with the right training and tools to trap and get rid of the critter. However, these devices come with a price. The price varies from company to company. It also depends on the contract if it is an on-time service or a limited lifetime guarantee service. The setup fee to catch a raccoon or a squirrel may range from $75-150. Then there is an extra charge per animal removal. There are companies who charge a flat fee for a trip. However, it takes them 2-3 trips to trap or remove critters, which could run to a $300 bill or more. That’s a burn in your pocket. For removal of animals inside your home, it could go higher. For little animals like rats, squirrels or mice a trap works well. What’s more, the toxic chemicals they use to get rid of critters could harm your property, as well as your health. Natural solutions are much cheaper and safer. Not everyone can afford these bills. 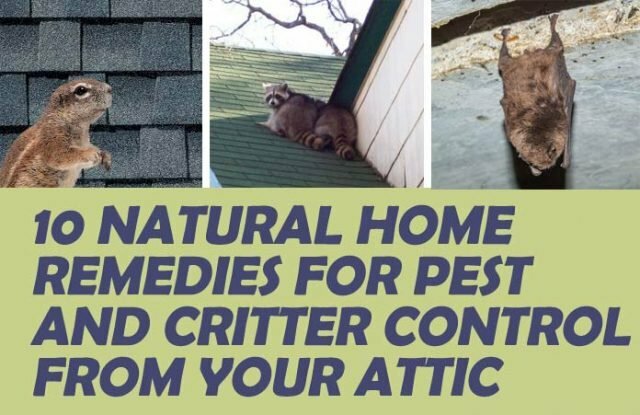 We have put a list of simple do it yourself solutions at home that can help get rid of critter for good. Why pay more when you have the solution at home? We have given some effective home solutions to get rid of critter in and around your home. This should take care of them and get rid of the critter menace for you. Creepy crawlies and other small critters can make it in through small crawl spaces in your home. Take a close look in the basement and other corners from the exterior as well. Investigate by trying to poke a pencil through to see if the pencil goes deep enough. If that’s the case, you have your suspect point. Stuff all the suspect points with steel wool. Steel wool is rough and dense when stuffed so, it will prevent them from crawling into your home. Rodents and pests are attracted to the smells of food in and around your house. Make it a point to clear away leftover and food crumbs from the counter, tables, and floor as soon as possible. Make sure your trash cans holding food particles or food waste are tightly closed. When they won’t find food in your home, they will be forced to go elsewhere in search of food. Insects and other pests are attracted to stagnant water. Mosquito larvae thrive in stagnant water. So, make sure get rid of stagnant water and any puddle around your home. Clean up the clutter in your yard. Fix leaking taps. Clean your water filter and bird bath with bleach periodically. Spices make the best critter out sprays. Insects and rodents cannot stand the pungent smells of garlic and hot peppers. Take 2 teaspoons of chili powder or paprika. Mix Ix garlic and chili pepper well with 250 ml water. Pout the solution in a spray bottle. Spray away in the suspected areas. Use them in the attic, basement and in the crevasse of your walls. 5. Fill your garden with fragrant herbs. You get to cook with fresh herbs. The fresh smells will eliminate critters from your home. Display potpourri in your home to lift your spirits and get rid of critters. Be sure your potpourri mix has a good mix of spices like cinnamon, herbs and flower petals for best results. Each bottle of beer has 6 teaspoons of sugar in it. The fermented grains and sugar attract pests and insects like a magnet. Pour the leftover beer in it. Leave it in your yard. The next day you will be surprised to find a whole lot of insects floating in them. Dump it and repeat the process. This method is most effective to deal with seasonal pests. Spray it in all the critter-infested and suspected areas. Don’t get rid of your wet coffee sludge. Mix it in your flower beds. Caffeine decomposes to form good manure for your plants. Critters abhor the strong smell of coffee. This will keep rodents like rats, moles, and squirrels digging your flower beds and destroying your yard. Cockroaches simply cannot stand the smell of eucalyptus oil. Soak a few cotton balls with eucalyptus oil and leave them around in your yard, flower bed and a few in the kitchen. You will notice fewer cockroaches. Repeat the process once the cotton balls dry out. The high frequency of ultrasound deterrents cannot be caught by human ears. Pests and other small critters can, however, hear it and abhor the sound. The sound will drive them away. However, some of these frequencies can disturb your dogs and cats too since they hear at a higher frequency than us. So, if you have pets at home, be sure to get an ultrasonic device that is pet-friendly. If you don’t have pets, by all means, go for the regular ones. Apart from critter control, they also help in warding off other wild animals like bears and coyotes from your backyard. These 10 remedies are sure to keep your house insect and critter free. If the menace is stubborn and the infestation is thick, don’t hesitate to call an exterminator for local critter control near you. You can use the above strategies as a post-treatment measure to ensure they don’t return for good. The key to a critter free home is cleanliness and a little precaution. As you home ages and settles, gaps are bound to show up. Keep a close eye on your property periodically. Taking remedial measure will ensure you home keeps those critters away. This will not only protect your home, but also your family from these dangerous disease carriers.